The forecast did not let us down for the 5th edition of the Lake District race held on the weekend of 28/29 June. 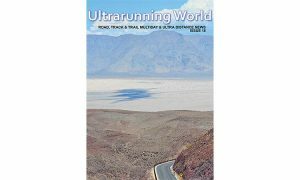 With 3 distances to choose from (48km, 73km or 100km) and ascent ranging from 3200m on the short course to nearly 8000m on the Xtreme course, there was something for every ultra distance mountain lover. 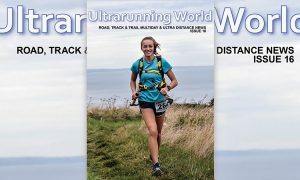 This was proved by the enormous variety of competitors that showed up – sponsored athletes; record holders; Bob Graham legends; hardy regular ultra runners; those that had attempted the race many times before but not quite succeeded and new-comers doing their first real long distance mountain race. Each and every one of them with their own personal goal, equally as important as everyone elses. 4am saw the 32 Xtreme entrants set off from race HQ in the centre of Keswick on their 100km journey, straight up Blencathra. With a time limit of 30 hours, a steady pace was to be set early on. No-one was really sure how the race was going to pan out, but all were aware of the presence of likely podium contenders such as Nicky Spinks (who seems to hold most of the UK Ultra records going) and Yiannis Tridimas (an absolute legend, with more knowledge of the Lake District mountains than Google). Once at the top of the first peak they were to follow a similar line to the Bob Graham Round, through the first feed station at Threlkeld and up onto the Dodds, before Helvellyn, Fairfield and Seat Sandal took them down to feed station 2 at Steel End Car Park. From here they would follow an identical route to the Long Course, up to High Raise then off to Bowfell and Esk Hause (feed station number 3). A few competitors had already pulled out before this point and another few would exit here too. 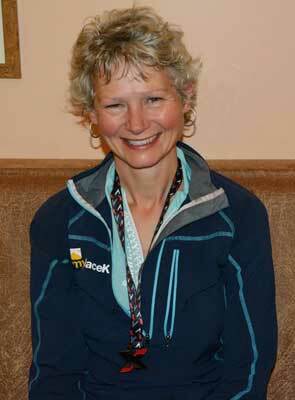 Nicky Spinks was the first to arrive at Esk, in just over 8 hours. A few guys were close on her heels so local knowledge was going to play an important part. There were a collection of runners all passing through close to the 9 hour mark, one of which was Yiannis, who whilst in his late 60s was proving that endurance really does stay with you. After a rock hopping zig zag between a few more peaks, Scafell would leave them with a long descent into Wasdale and feed station number 4. A long climb up to Red Pike saw Nicky with an hour lead over her nearest rival Paul Nelson. Ben Thompson was 15 minutes behind Paul trying to hold on to 3rd spot. Pillar and Kirk Fell were the next two peaks that needed to be conquered and then on to feed station number 5 at Beck Head. A nice run into Honister followed where hot food and plenty of supplies were available, should they wish to stop. The leaders did not hang around long, desperate to hold on to their positions, but many of the field would spend half an hour here, rehydrating and taking on some hot food. A few more would admit defeat and request the minibus shuttle back to Keswick – not the front runners though, straight up Dale Head and off to Maiden Moor. Nicky had now gained an hour and a half lead on Ben and Paul, who were now running side by side, content with the company and support of each other. Through Keswick and straight up the steep side of Skiddaw – a cruel way to finish but this was never made to be easy! What should be a pleasant run down the South Eastern side and back to Keswick was very painful for most, with sore toes and quads screaming for the finish line. Nicky ran in to the finish in an amazing time of 18 hours and 26 minutes, 1 hour and fifty minutes ahead of Ben and Paul in joint second place. Just less than half of the starters managed to complete the full course, but every single competitor had a great experience, in what had been ideal conditions. In case you were wondering, Yiannis cruised home in a little over 23 and a half hours and in 7th place overall – what a legend! The Long Course runners were bussed to Swirls Car Park and set off for the summit of Helvellyn at 5am. Knowing that they had 27km less to run than the Xtreme runners, they could afford a little more speed early on. A group of 3 front runners soon formed and led the way through the first feed station and off up to the rocky peaks of Ill Crag and the like. Last year’s winner, Tom Hollins, was well on course to smash his previous PB, yet found himself 20 minutes off the lead group ascending Lords Rake to Scafell – the course record was surely going to be destroyed. Through Wasdale and up Wind Gap to Pillar and then off to Beck Head, where some much needed water had been hauled up the mountain by the marshals. 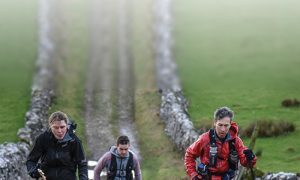 The three leaders, Jonathan Albon, Ross Litherland and Erik-Sebastian Krogvig, came into Honister together but Jon was keen to crack on. He left the other two stocking up from their drop bags that had been forwarded by the organisers and set off at pace for Nichol End Marine, arriving nearly 15 minutes ahead of the other two. This lead was added to by a further 10 minutes over the next leg up and down Skiddaw, although Jon was half expecting to be caught as he said he had little left to give. The course record did get destroyed, by well over two hours! This new record of 10 hours and 50 minutes will take some beating. The Short Course sounds as though it should be the easy option, but don’t be fooled. Essentially it is the Long Course minus a few peaks (Scafell, Pillar and Skiddaw), but at nearly 50km and well over 3000m of ascent it is a very tough mountain ultra that would see 25% of the 80 strong field not complete the course (a similar percentage to the Long Course). Huw Price came through CP1 with no doubt that a race was being run. With 6 or 7 runners all within 5 minutes or so of his time however, this was not going to be a one man race. He did manage to build a 20 minute lead by Esk Hause but half a dozen others were fighting out the other podium places. Huw’s lead extended to over half an hour by Honister and the 4 closest runners now seemed to be running together. Robert Henderson couldn’t quite keep with them however and the other three battled on to finish within a minute of each other’s times. Paul Turner, Steve Clarke and Rob Harper shared second third and fourth. Well done to all entrants and Marshals, and for those whose day didn’t quite go according to plan – there is always next year!….or the Brecon Beacons 10 Peaks event on 6th September?